I am frustrated and angry tonight at people who I served with and considered to be friends because I dared to criticize the draft dodging, combat veteran mocking President when it was reported that he is forcing the Pentagon to give him a big military parade like Bastille Day in France. I made my comments on Facebook which I use to keep up with friends. I do post articles and occasionally comments on those articles but I make it a point never to go to my friends pages and attack them for their political, social, or religious beliefs, even when what they post attacks on things that I deeply believe in. For me it is not worth it, I would rather remember the good times with people than to attack them and their beliefs. But tonight I lost it after repeated attacks and posted something that was not very Jesus like, something about fornicating the President and his minions. When I did that, one former shipmate who had been one of the instigators of my anger threw up my clergy status and noted that Jesus never said such things. I readily agreed with him and admitted that I am a bad seed. As far as what is written in the Bible goes I am sure that he is absolutely correct that Jesus never said such things. But that being said Jesus did kind of mess up the money changers in the Temple day when he when all sorts of crazy on them. Likewise, St Nicholas, tired of hearing heresy proclaimed at the Council of Nicaea punched the heretic Arius, an act that the Emperor Constantine had him stripped of his office as a Bishop and imprisoned. One has to admire punching saints. Likewise, the great German Reformer Martin Luther was probably at least as foul mouthed as me, especially after a good amount of beer. Since I still struggle with belief and since I know that I am a very poor representative of Jesus in many ways it was offensive. On a good day I believe about 60% of the time which is a lot better than just a few years ago and that is not because how well I have been treated by supposedly Christian friends, rather it is because of the grace, love, and mercy I have been shown by others who don’t claim to be Christian, as well as Christians not afraid to rock the boat or embrace those who do, even if they disagree with them. I guess that makes me a traitor to the President and his minions. If so I’ll live with it and I’m sure that when the President gets his Reichstag Fire moment that I will be terminated in one way or another. Since I have have had my life threatened by Neo-Nazis and White Supremacists going back to 2010 I wouldn’t be surprised at anything. I know too much about History and human nature to believe the best about anyone in times like this. Tonight I am angry, I am disgusted, and I am discouraged; but I won’t stop speaking out. If I stop speaking out I will be no better than the Wehrmacht Officers who turned away from the Weimar Constitution, who turned the other way when Hitler gave them what they wanted and eliminated the opposition, and who planned and executed his wars of aggressive conquest and genocide, and when the war was over blamed it all of the SS. Thankfully one of my former now retired subordinates sent me a personal message asking me to take my most incendiary comment down promising to copy and paste it on his timeline without attribution. The comment was admittedly over the top and posted out of anger, not that I didn’t mean it; but he was right to tell me to take it down in order to protect me. It was a scathingly brilliant idea. I removed the post and the comments and he posted my comment without attribution. You have to appreciate people who “look out for your six.” Thank you my friend for doing so. I don’t hide behind my clerical collar, or the cross on my uniform. I know that I am deeply flawed and certainly not an imaginary sinner. I sin and when I do it tends to get noticed, and I’m sure that God is watching and that She knows it too. I don’t know if I can be angry and not sin because my mostly Irish and Scottish DNA combined with my life experience and PTSD mitigates against it. My ugly and beat up feet are definitely made of clay. That being said I’m not going to be some namsy-pamsy that lets people walk over him. Feet of clay or not I do fight back and when I turn the other cheek I frequently emit foul odors. Being an ideologue of any kind is easy, you adopt an ideology and then use it to interpret the world. That is why there are so many of them of so many different varieties: right wing, left wing, religious and so many more. In fact if you take a look at the most strident supporters of any ideology, politician, or religious leader you can see that they are little different from one another. It’s funny, I am a liberal and a progressive, but I often find left-wing ideologues to be as off putting as militant right wingers. I guess that is because despite everything I am a realist. I wake up every day to try to do the hard thing of deciding what is right and what to believe. My favorite television character, Raymond Reddington, played by James Spader in The Blacklist once said “I know so many zealots, men and women, who chose a side, an ideology by which to interpret the world. But, to get up every single day and to do the hard work of deciding what to believe. What’s right, today? When to stand up or stand down. That’s courage.” The fact is, no matter how stridently they espouse their beliefs, ideologues are by definition not courageous, because courage takes critical thinking, something that ideologues of any persuasion are incapable of doing. I see examples of this every day, especially in my Twitter feed. While I’m sure that many, if not most of these people are good and well meaning people, they seldom display any originality of thought or true character. I had one left wing Twitter follower attack repeatedly me because to her I was supposedly a sellout. I have had right wing religious friends and followers on social media do the same, but the intellectual commonality they share is the fact that they are ideologues and zealots, and while they espouse different beliefs they are almost indistinguishable in their inability to think critically. Character is a terrible thing to judge. Mostly because those doing the judging also suffer from flaws in their own character and truthfully I don’t think that any of us are exempt from doing this, at least sometimes. Dietrich Bonhoeffer noted: “Nothing that we despise in other men is inherently absent from ourselves.” I think is somewhat freeing to realize that, thus to grasp this is to be united with humanity, as well as loose ourselves from the shackles that would inhibit us from achieving what we are capable. I think that is part of the complexity of the human condition. As a historian I find that the most exalted heroes, men and women of often-great courage both moral and physical, intellect, creativity, humanity and even compassion have feet of clay. 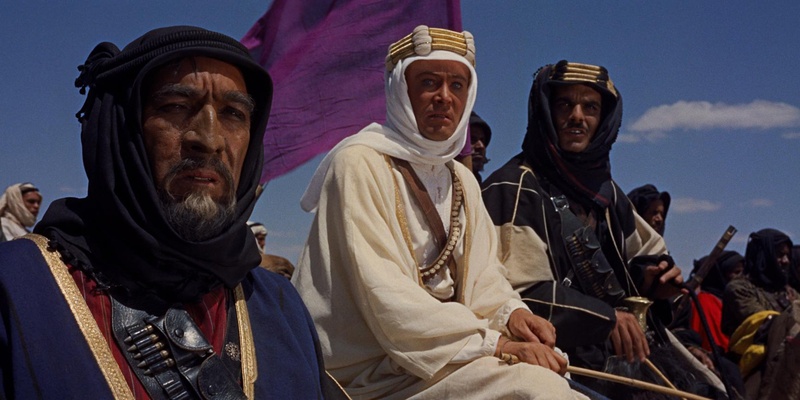 I find that I am attracted to those characters that find themselves off the beaten track; the visionaries often at odds with their superiors, institutions, and sometimes their faith and traditions. Men and women who discovered in themselves visions for what might be and pursued those visions, sometimes at the costs of their families, friends, and in quite a few cases their lives. Throughout my studies I have been attracted to men as diverse as Peter the Apostle, Martin Luther, Thomas Aquinas, T.E. Lawrence, Dietrich Bonhoeffer, Erwin Rommel, Admiral Horatio Nelson, Abraham Lincoln, John F Kennedy, Dwight D Eisenhower, Franklin Roosevelt, Dr. Martin Luther King Jr., Jackie Robinson, Teresa of Avila, Golda Meir, Nelson Mandela, Vaclav Havel, and Emir Feisal Hussein of the Arab Revolt. All had flaws and the list could go on and on and on. They all had feet of clay, and who among us doesn’t have them? But them I think that I would rather have feet of clay than a heart of stone, an unchallenged mind, or a lack of courage to do the right thing even when it does not directly benefit me. I am a great believer in redemption and the weight of the whole of a person’s life. Thus I try to put the flaws, as they are called in perspective and their impact both positive and negative in history. Studying in this way gives me a greater perspective on what it is to be human and to place my own clay feet in appropriate perspective.